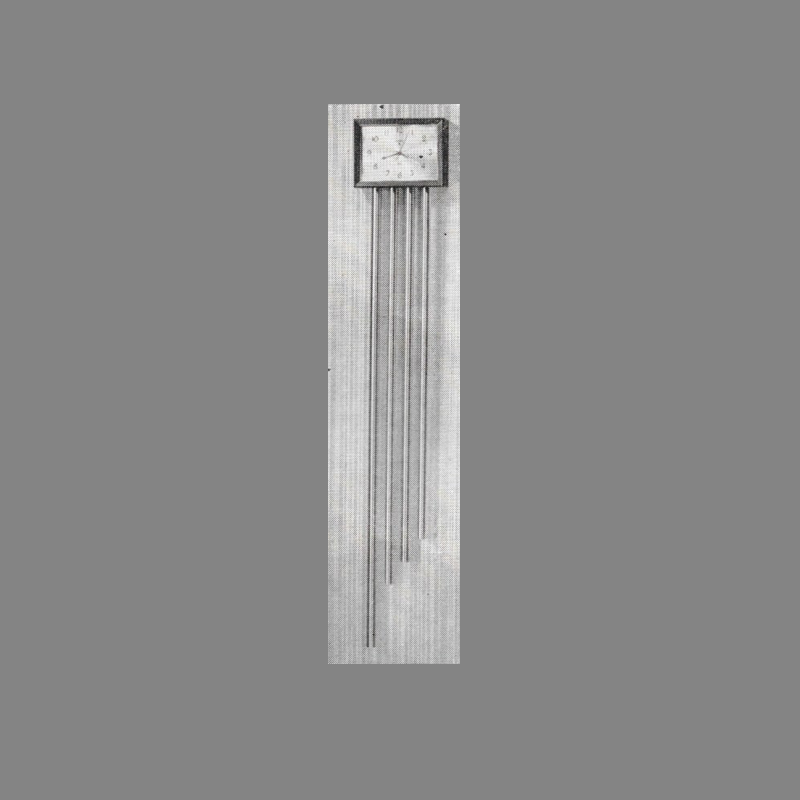 The Rittenhouse Trent is a Mid-Century Westminster door chime designed by Jean Otis Reinecke (1909-1987) and introduced in 1956. 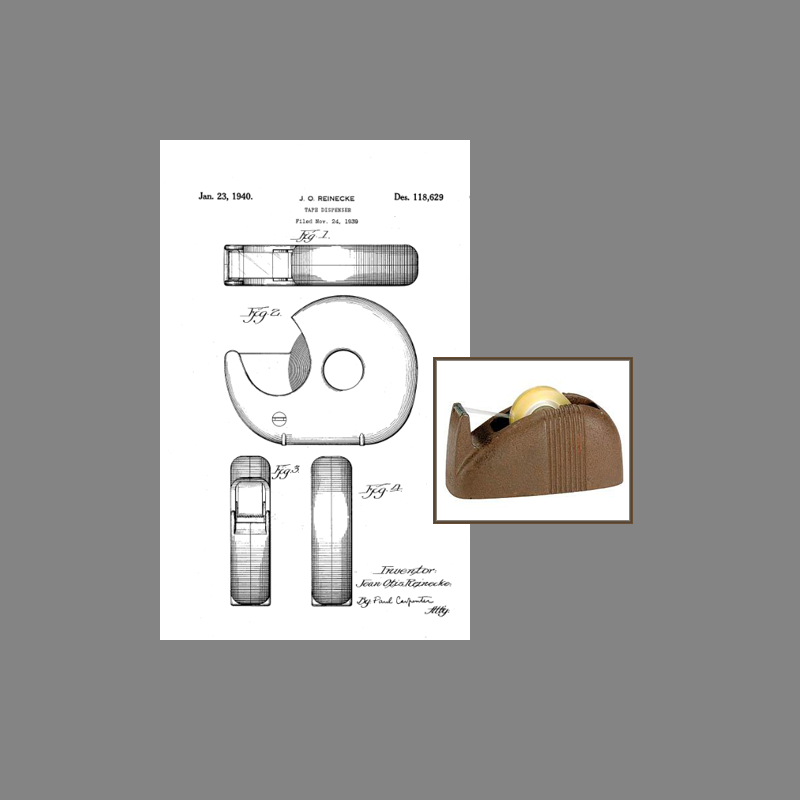 Reinecke is best known for cutting edge designs for a variety of products including Toastmaster toasters and the ubiquitous plastic scotch tape dispenser for 3M. Modern, functional, simplicity styled by Jean O. Reinecke, national known leader of contemporary design. 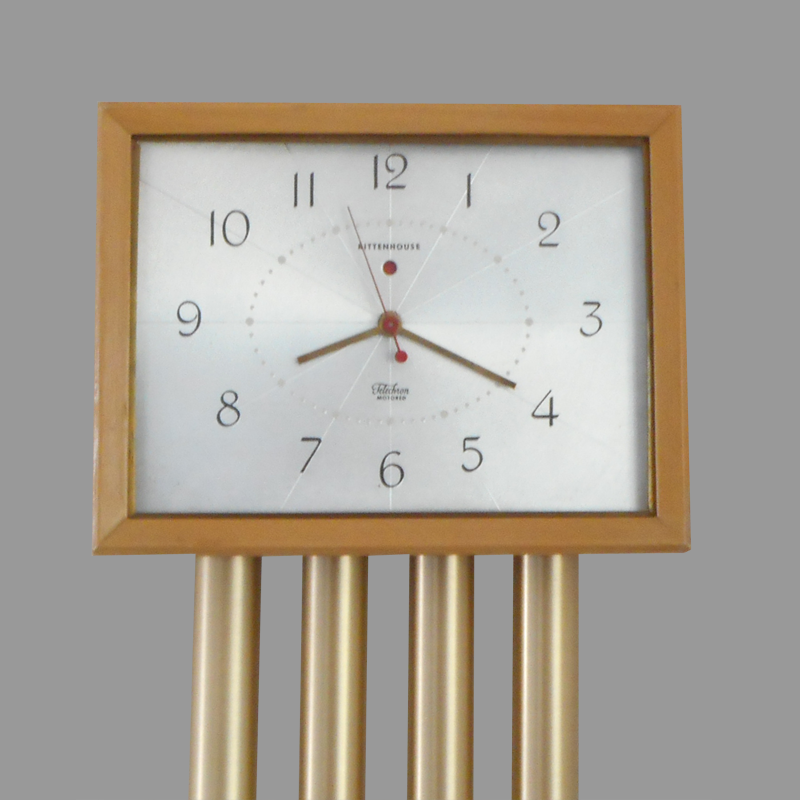 Trent: New modestly priced hall clock chime of superb quality. Contemporary design by Reinecke. Cabinet available in ebony, rich walnut or limed oak finishes. 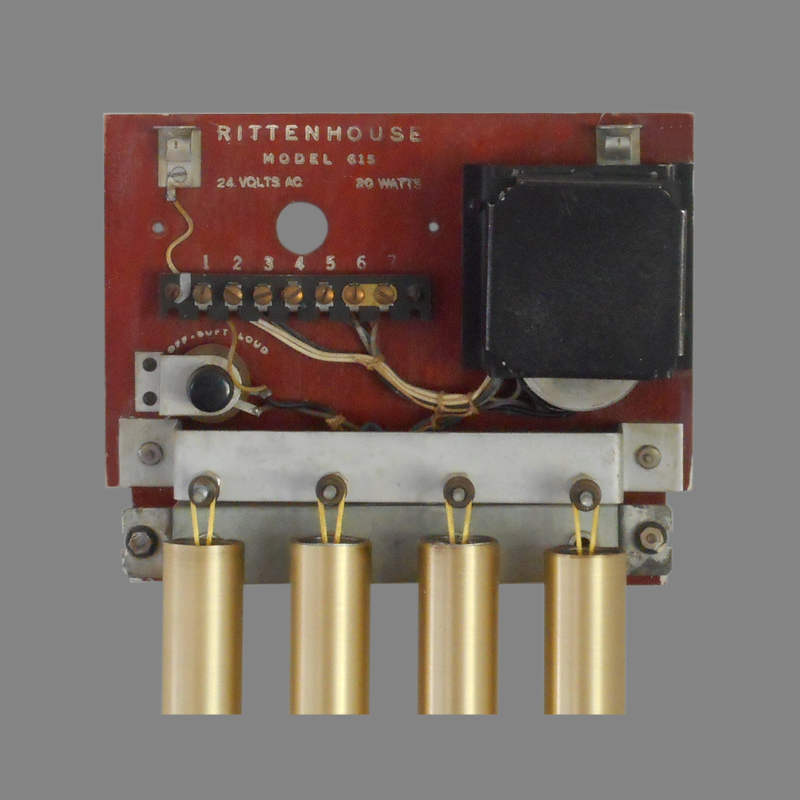 Both chime and self-starting Telechron clock operate from 24-volt transformer, included. Provides 8-note Westminster melody for front entrance, single-note for rear and different single-note for third door. Volume control and shut-off switch. “lifetime Floating Striker Mechanism. My mom has a Rittenhouse Trent Clock which I assume to be from 1964 or so. While the clock is no longer keeping accurate time, the doorbell works perfectly.